Fueled by a passion to share new music that engages conductors, ensembles, and audiences alike, Michael John Trotta (b.1978) is fast becoming one of the most “exciting and prominent new composers of choral music.” Drawing on his experience as a conductor and clinician, he brings artistry and excellence within reach for thousands of musicians each year. 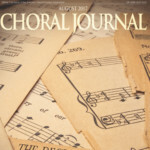 The lyrical verses prompted the composer to summon equally lyrical musical responses, with appealing melodic lines, tender harmonies and a palette of glowing vocal and instrumental colors. 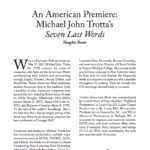 The American composer Michael John Trotta has concentrated on choral music for most of his career. 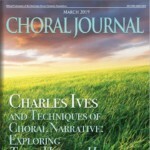 The newest disc devoted to his works offers both secular and sacred fare. Its title, ‘For a Breath of Ecstasy,’ is a line from one of the seven Sara Teasdale poems Trotta has set for choir, oboe and string quartet. The poems come from an extensive Teasdale collection, Love Songs, that won her the first Pulitzer Prize in Poetry in 1918. 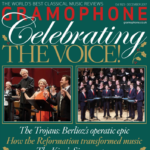 Veni, Veni Emmanuel is a fascinating, infectious setting... effectively carries out that dialogue between the ancient Latin chant and the modern listener. 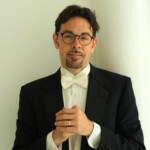 The summer may as well be Advent and Christmas for the church musician, and Michael John Trotta’s Veni, Veni Emmanuel explodes on the listener with modern twenty-first- century suspended harmonies and hip-hop inspired percussion rhythms to create a fascinating, infectious setting for these ancient and beloved Advent antiphons.